PTDI offers materials both to develop your course and to provide your students. PTDI partners with Cengage (formerly Delmar) to produce and distribute selected titles. You can explore the Cengage web site or use the following links. 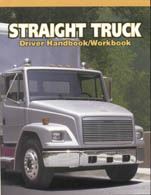 The new Entry Level Driver Training (ELDT) regulation applies to training organizations and driver trainees applying for their commercial driver’s license (CDL) for the first time; an upgrade of their CDL (e.g., a Class B CDL holder seeking a Class A CDL); or a hazardous materials (H), passenger (P), or school bus (S) endorsement for the first time. 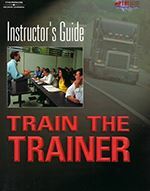 Driver Trainees must complete a prescribed program of instruction provided by an entity that is listed on the FMCSA’s Training Provider Registry (TPR). 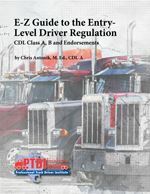 PTDI's E-Z Guide to the Entry-Level Driver Regulation outlines the new and updated requirements for driver trainees and entities that train entry-level drivers. For those assessing where to start with the new ELDT regulation, this publication is a comprehensive primer that guides your focus. The Guide is a must for trainers, safety directors, administration and instructors. Hardcopy, print version: Learn more and order your print copy. Certified schools receive a discount. Lulu.com (EPUB) eReader software needed, e.g. Calibre (free) or Adobe Digital Editions (not Acrobat). 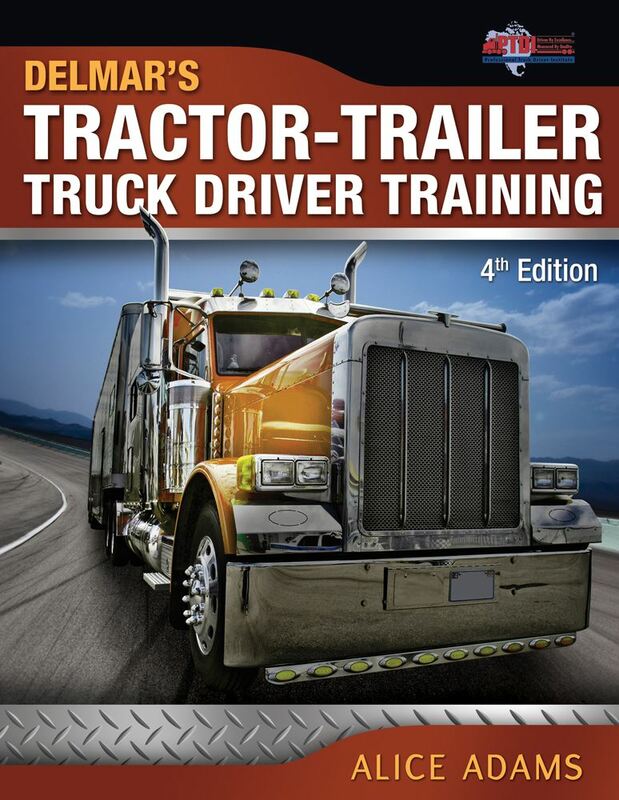 Tractor Trailer Truck Driver Handbook packages are available including digital versions. Contact a Cengage representative to order (click Instructor Next Steps). 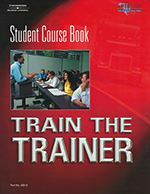 Designed to be user-friendly, the Train the Trainer Student Course Book is interactive in that the student will be writing in it throughout the course and will be able to use it as an ongoing reference tool. Topics covered include curriculum development, classroom management, learning methods, learner diversity, and presentation design and techniques. Note: The Instrucotr Guide is te supplement. Get them together by making a specific request for the student course book AND instructor guide.